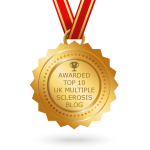 Home » Living With MS » Diary of a Man with MS » 2015 » Do Hospital Gardens Aid Recovery? Do Hospital Gardens Aid Recovery? I was working in Hamburg when I fell over, cracked two ribs and punctured a lung. After the operation to insert a tube to drain the liquid from my left lung I was in a bed with a South facing window and a view over the Hamburg rooftops. There was always something to look at both day and night. I can still remember the panoramic view through the huge glass window even though the incident happened five years ago, in the summer of 2010. Did it help my recovery? I am not too sure if the physical damage healed more quickly but I certainly felt a whole lot better for the view. 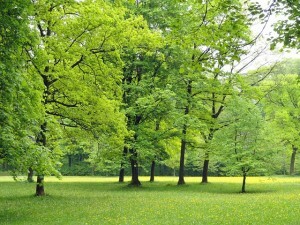 Green space reduces stress levels. It increases physical activity and speeds recovery if you have been ill. There is a simple connection between health and the environment. Planting trees, making healthcare organisations greener and attractive can save money. Not only are maintenance costs often reduced , but staff morale is improved, patients recover more quickly and are therefore using fewer resources. In the longer term, communities who have better access to green space stay physically and mentally healthier. An idle thought, isthis a feasible option where space is at a premium in so many hospitals? OK a hospital garden can speed up the rate of recovery for patients. What about your own garden? Well I cannot do the work in the garden that I used to be able to do. These days any attempt to use a garden spade or fork ends up with me in a heap on the ground. To my intense frustration the wife has taken over the garden but I am still in charge of the pots on the window sills and scattered artfully around the garden. The simple act of watering the pots deadheading and changing the plants around as the seasons come and go is very therapeutic. Talking to the plants makes me feel better. It as if I have done something positive, calmed the inner me. The Hospice of St Francis in Berkhamsted has beautiful gardens. The patients enjoy the tranquility offered by this space throughout the year. There is a huge team of volunteers who maintain the grounds to a very high standard. I know the open green spaces and quiet corners are appreciated by the staff, patients and their families. The hospice adds “gardening is a therapeutic, active exercise which contributes to well-being and in turn the Hospice benefits from using the produce in our kitchen”. She is a carer for people and works through an agency and looks after people in their own home 24 x 7. She says that for each day one of her clients spends in hospital will require a week to get back to their original level of fitness and well being. She is a tetraplegic after breaking her neck and back in a riding accident in April 2009. She wrote “In those long months in the spinal unit I craved the feel of sun or rain. I needed weather” She just loves the weather, the changing seasons and how lucky is to be able to derive pleasure from the changing nature of her garden.It gives her a desire to live.